Hiroyuki Imaishi’s Studio Trigger have made a large name for themselves with admittedly few series produced — Space Patrol Luluco as a five-year anniversary celebration seemed a bit excessive — creating their own strong fanbase and distinct style rooted in Imaishi’s oeuvre and the studio’s first major project: Kill la Kill. Trigger’s Kiznaiver and Space Patrol Luluco easily invite comparisons, with the studio sometimes overshadowing both projects in the same way that series composer Mari Okada is brought up as a point of comparison between Kiznaiver and Mayoiga — her two series of the spring season. 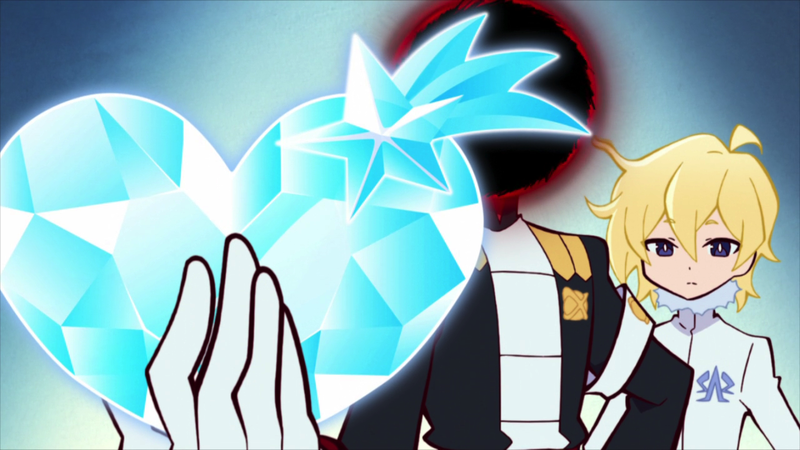 Despite their different directors — Imaishi heads up Luluco while Kiznaiver is Hiroshi Kobayashi’s series debut as a director — the two properties find common ground in the way they address emotional connections with others. 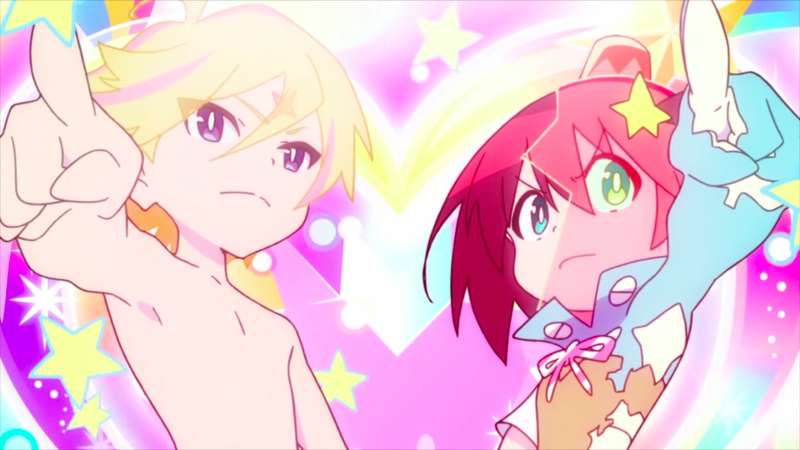 After a few weeks spent bogged down by references to other Studio Trigger material, Space Patrol Luluco returned to form with more hilarious and poignant musings on female adolescence in its tenth and eleventh episodes, addressing the vapid yet passionate nature of a first crush. 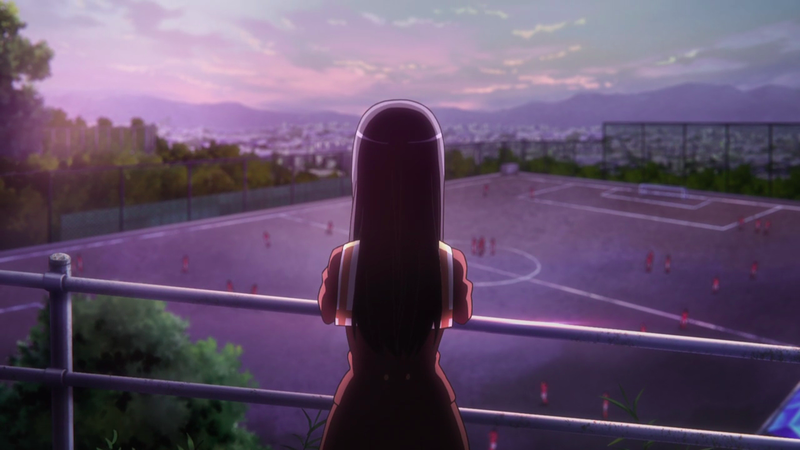 Worthless, trashy garbage — in the words of the series itself — first loves are something that have little meaning to anyone but their source, often based on superficial factors and well-advertised ideas of what love is supposed to be or look like. What better time to look back on my own, ultimately meaningless, first love: Tyler [last name redacted because that actually is his real first name], my third grade classmate. Relatively early in the movie Mean Girls, Regina George claims that she will help the then-hapless Cady Heron snag her dream date: Regina’s former boyfriend Aaron Samuels. At a Halloween party, Cady watches as Aaron and Regina talk, eagerly trusting her new friend Regina. Cady’s inner monologue devolves into a screeched slur as the friend whom she had trusted leans in to kiss the object of her affection. 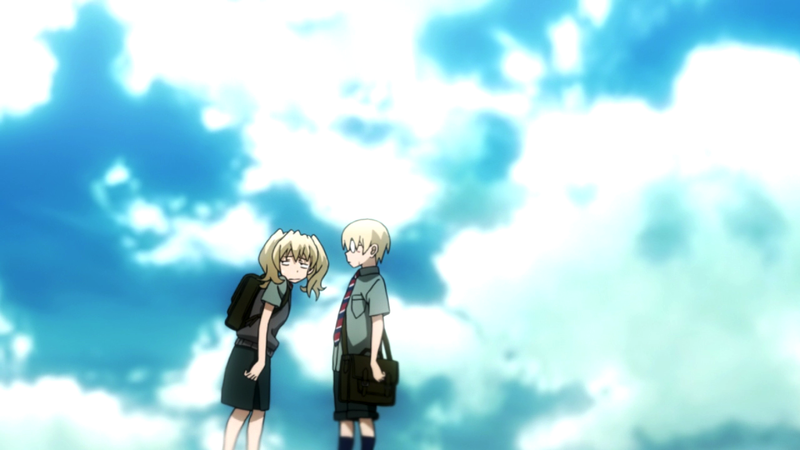 For Cady, this is a major step in her transformation from unsocialized homeschooled child to manipulative school idol. Mean Girls rings true in a myriad of ways. The manner in which girls are taught to both preen and fight for male attention is only one of the movie’s focal points, but it’s an important one. Keeping this in mind, let’s turn our attention to the world of Bakemonogatari. More specifically, Nekomonogatari: Shiro.